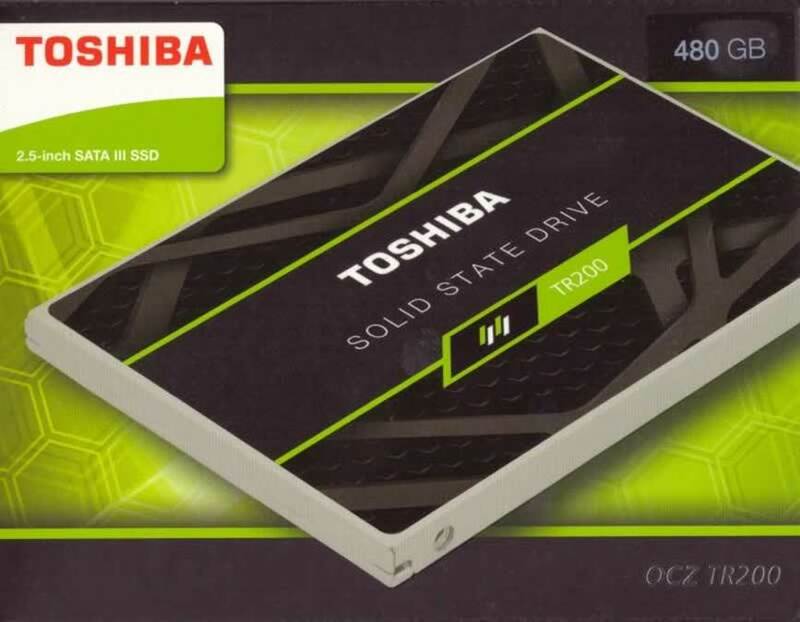 Toshiba back in July released information about their new SSD, the TR200, and as we all understood the TR200 SSD would be replacing the OCZ Trion 150 as a value for money SSD, but this was not the exciting part of the press release. The part that got us all excited was the fact that Toshiba will now be using their brand new 64 layer BiCS TLC NAND. 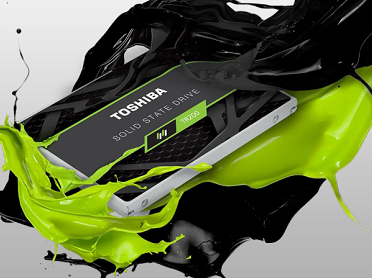 Move on to today and the time has come for Toshiba to release the TR200. 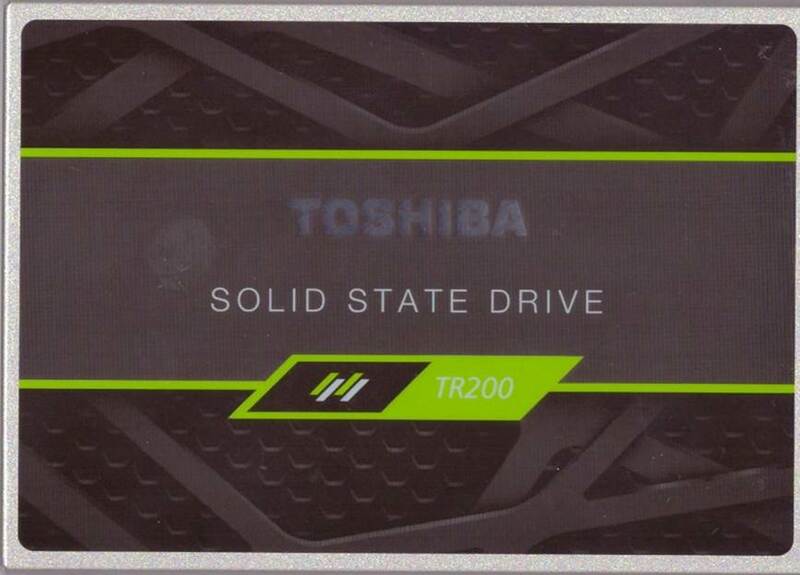 Toshiba was kind enough to send me the TR200 480GB SSD to review. So let’s start this review by looking at the packaging and its contents. As always I will start by taking a look at the package and the contents that are included with the Toshiba TR200 480GB SSD. We’ll start with the package. Here is a look at the front of the box. 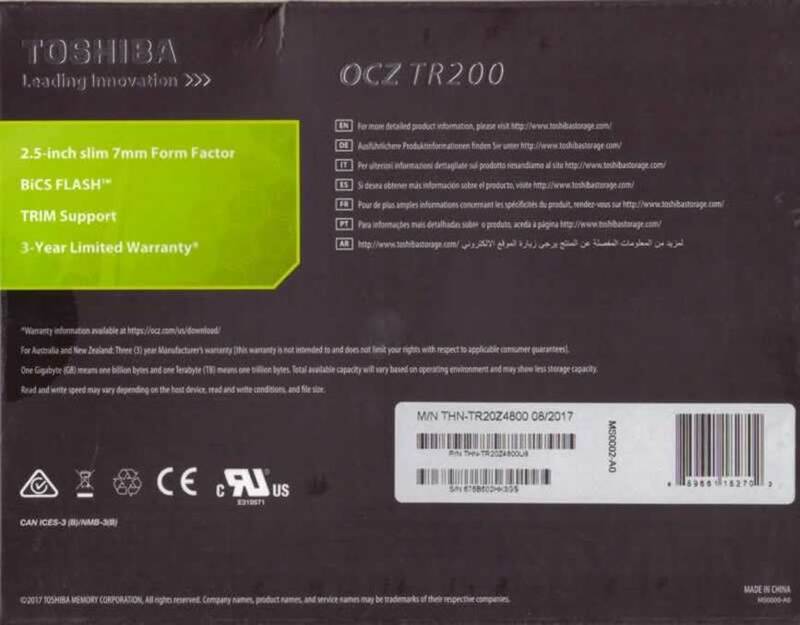 Also the rear of the Toshiba TR200 SSD box. Inside the box we find the installation manual and information on the warranty. 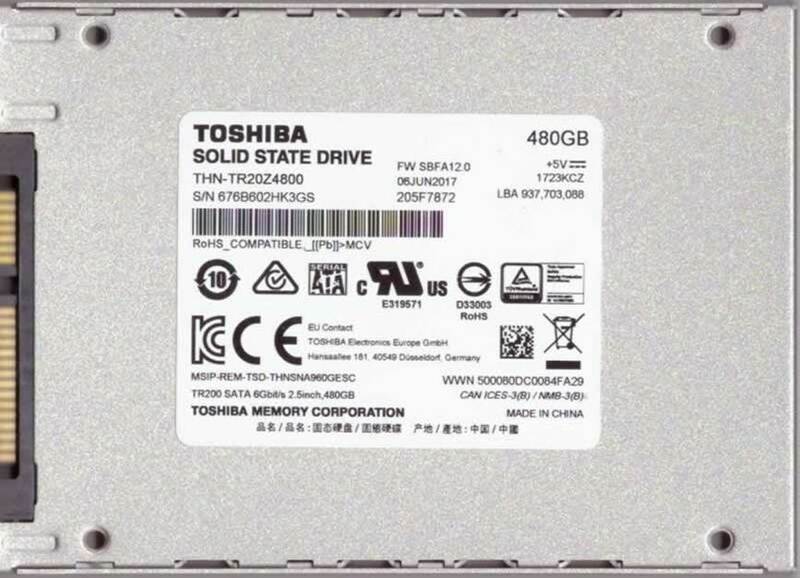 The front of the Toshiba TR200 480GB SSD. Here is the rear of the Toshiba TR200 480GB SSD. 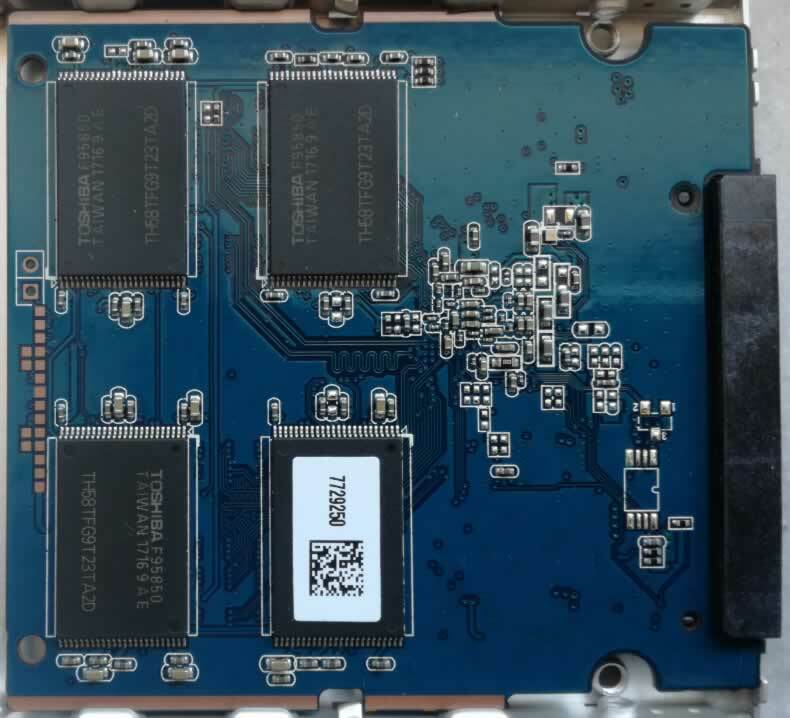 Here is a look inside the of the Toshiba TR200 SSD, and when I opened the drive I was welcomed with four Toshiba 3D TLC NAND, also there is no RAM on this side of the PCB. 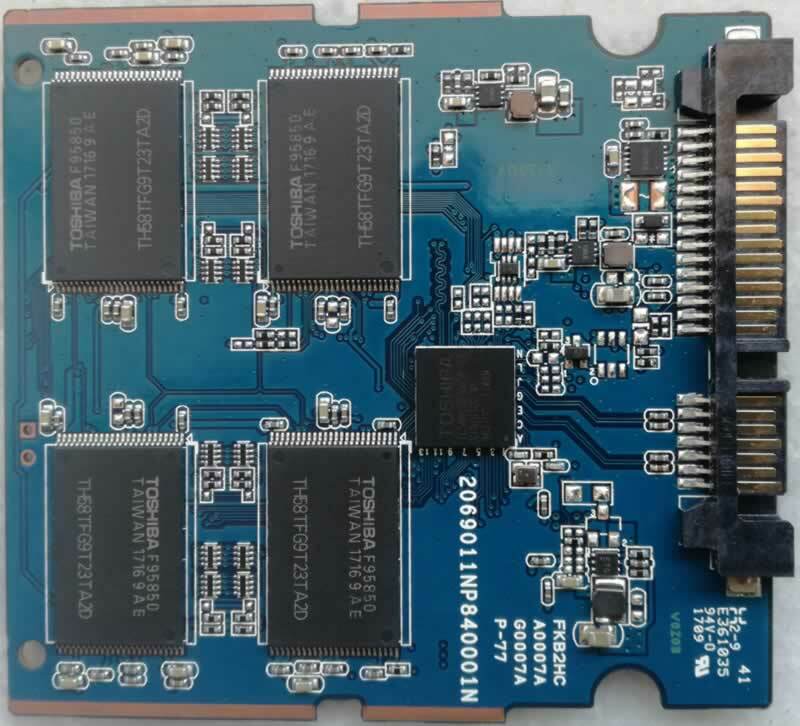 On the other side of the PCB we find another set of four Toshiba 3D TLC NAND and the Toshiba controller, again no DRAM, so we have DRAM-less drive. 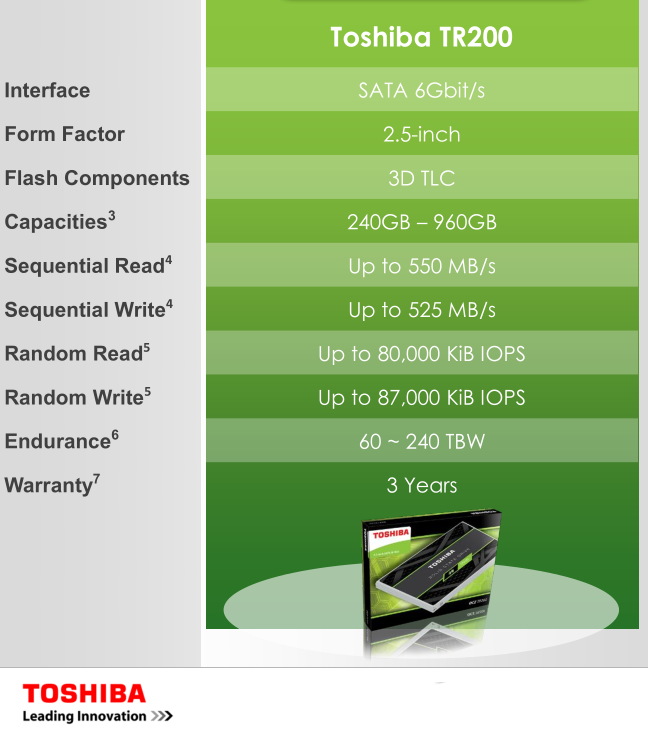 The Toshiba TR200 SSD uses 3D TLC NAND and it can reach read and write speeds of up to 550MB/s for read and 525MB/s for the write speed. It also offers a three year warranty. Pricing starts from $89.90 for the 240GB drive, $149.90 for the 480GB drive (that I will be testing), and the 960GB drive will cost $289.90. At the time of writing this review all pricing was provided by Toshiba. In the above screenshot we can see all the available info. for the Toshiba TR200 480GB SSD. Let’s head to the next page where we take a look at our testing methods and the review PC.